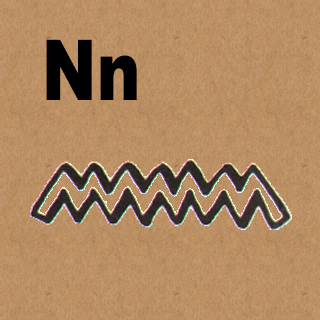 To honor our Navy, today's hieroglyphic is the letter "N"
It's pronounced "NNN" as in Navy. Here's an easy way to remember the hieroglyphic symbol for the letter N.
The Navy is a fleet of ships, manned by Naval Officers. Just think of the Navy floating on the water and you'll have it!